Typical Personalities of a Graphic Designer: Do you have a much unique personality that suits your designing skill? Just always remember that we are all different. Every designer has a different working style, experience, skills, types, hobbies, likes and dislikes and mindset. Artzap has created an infographic, hope you like it. 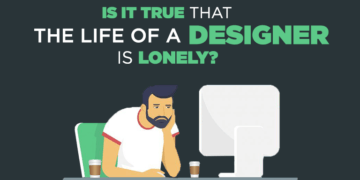 What kind of Designer are you? What is your character and personality when it comes to being a designer? How can you describe yourself? Have you already asked yourself the same questions?